If there’s two things everybody loves it’s a cute hooded towel on a little person and also a curious little monkey right? But what if that curious little monkey becomes that cute hooded towel! 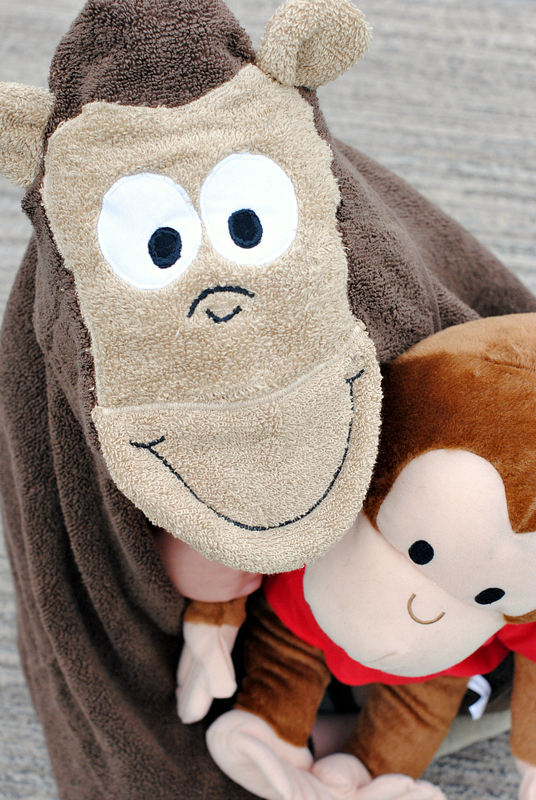 Today I am giving you a Curious George Hooded Towel Tutorial along with the fun news that Curious George is now streaming on Hulu! Win Win right? !